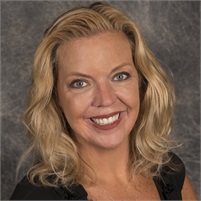 Robin Condon | Georgetown Financial Group, Inc.
Robin joined GFG in May of 2009. She holds a degree in business administration from the University of Connecticut. Prior to joining GFG, Robin had been a compliance manager with Lincoln Financial Distributors, and a regional compliance officer with Cetera Securities. Robin is in charge of developing GFG’s own internal compliance rules and procedures, as well as the supervision of the registered representatives and investment adviser representatives within GFG’s regional OSJ with Cetera Advisor Networks.